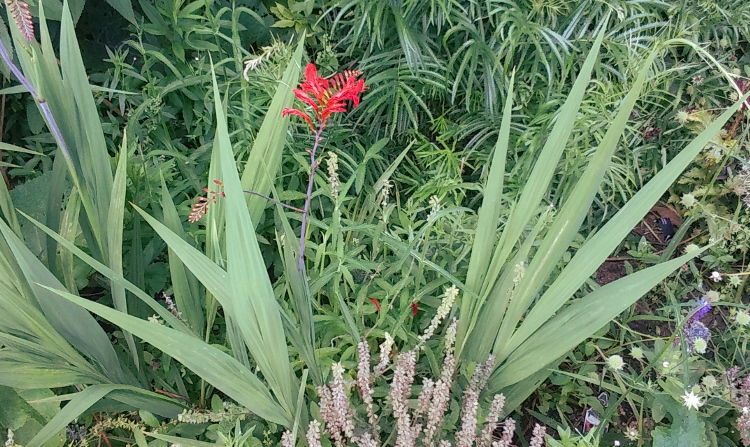 The sword-shaped leaves of this Crocosmia ‘Lucifer’ are almost as striking as its bright red flowers. *Allaby, M. (2006). A dictionary of plant sciences (Revised ed.). Oxford: Oxford University Press.